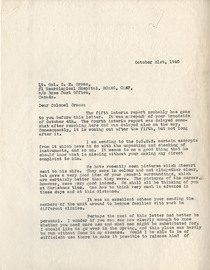 Letter from Wilder Penfield to C.E. Cross, July 11, 1941. 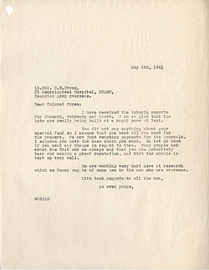 Letter from Wilder Penfield to C.E. Cross, July 15, 1941. 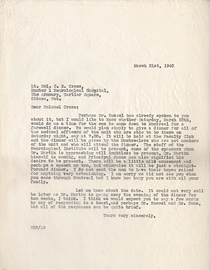 Letter from Wilder Penfield to C.E. Cross, June 11, 1940. 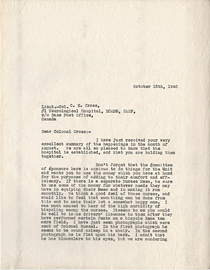 Letter from Wilder Penfield to C.E. Cross, March 2, 1940. 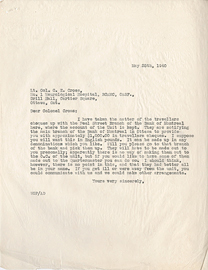 Letter from Wilder Penfield to C.E. Cross, March 21, 1940. 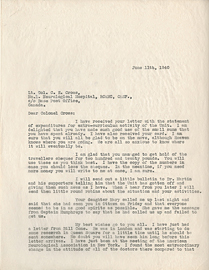 Letter from Wilder Penfield to C.E. Cross, May 25, 1940. 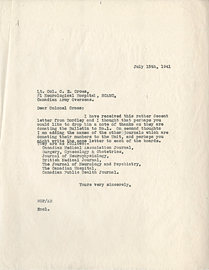 Letter from Wilder Penfield to C.E. Cross, May 7, 1940. 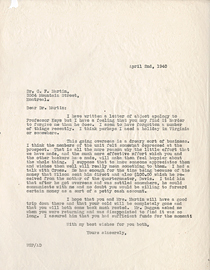 Letter from Wilder Penfield to C.E. Cross, May 9, 1941. 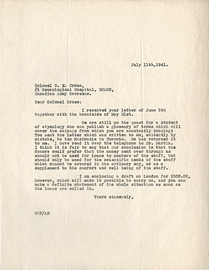 Letter from Wilder Penfield to C.E. Cross, October 15, 1940. 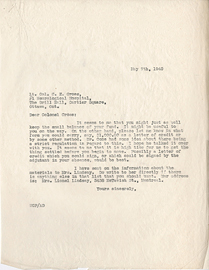 Letter from Wilder Penfield to C.E. Cross, October 31, 1940. 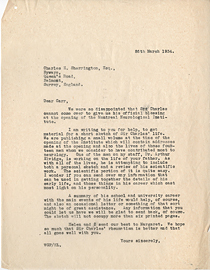 Letter from Wilder Penfield to Carr Sherrington, March 26, 1934. 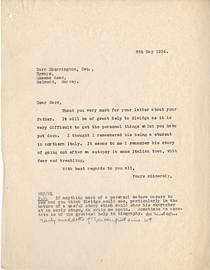 Letter from Wilder Penfield to Carr Sherrington, May 8, 1934. 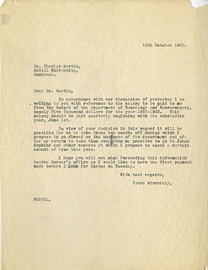 Letter from Wilder Penfield to Charles F. Martin October 15, 1932. 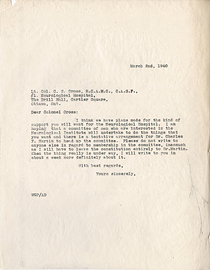 Letter from Wilder Penfield to Charles F. Martin, April 2, 1940. 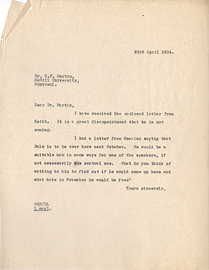 Letter from Wilder Penfield to Charles F. Martin, April 23, 1934.